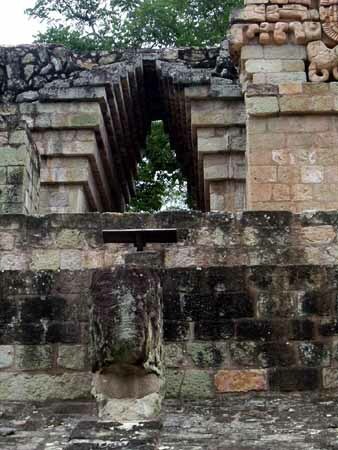 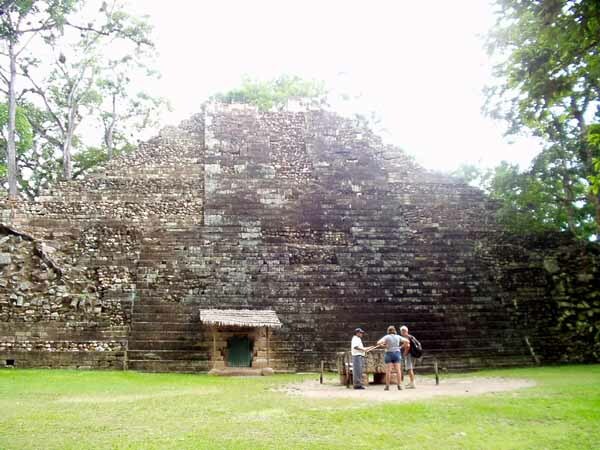 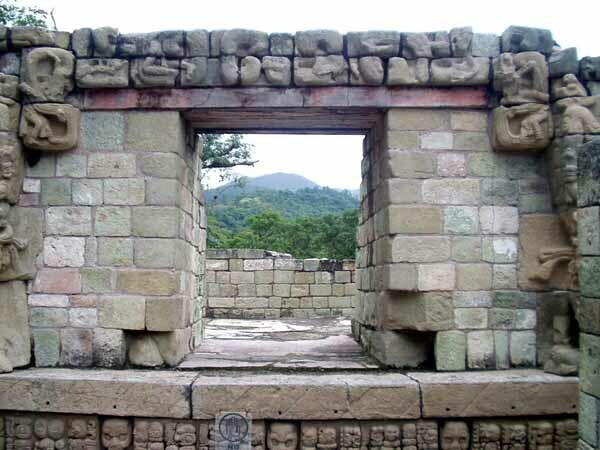 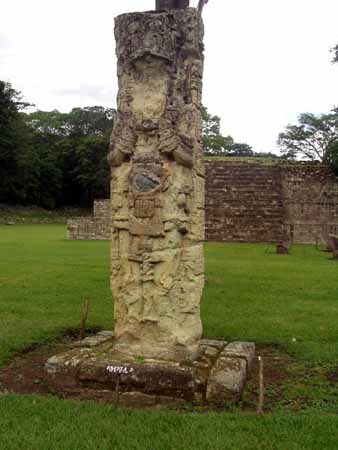 I arrived in the town of Copan Ruinas (that is the name of the town, the ruins are simply Copan) late Sunday afternoon on August 31 and got a room in Hotel Via Via. 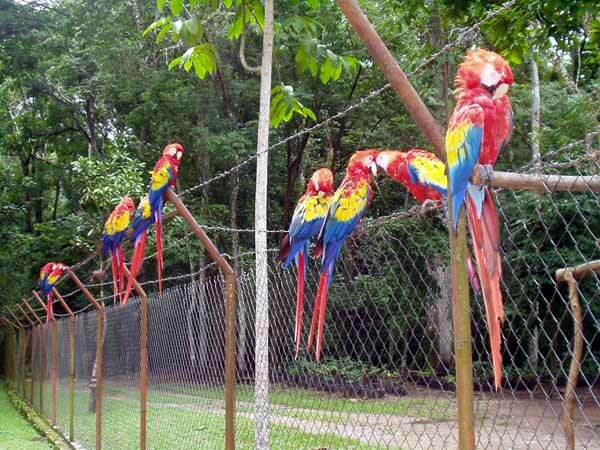 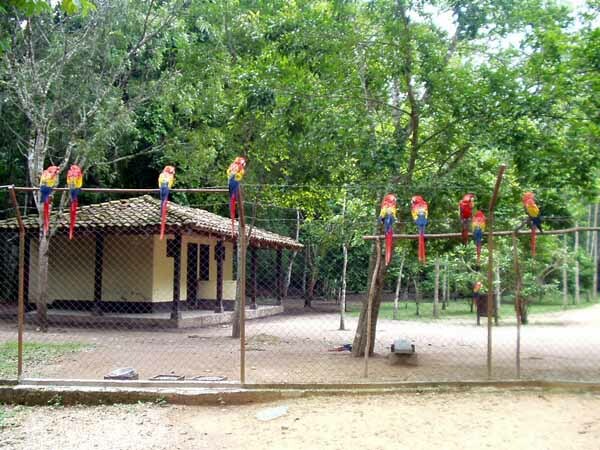 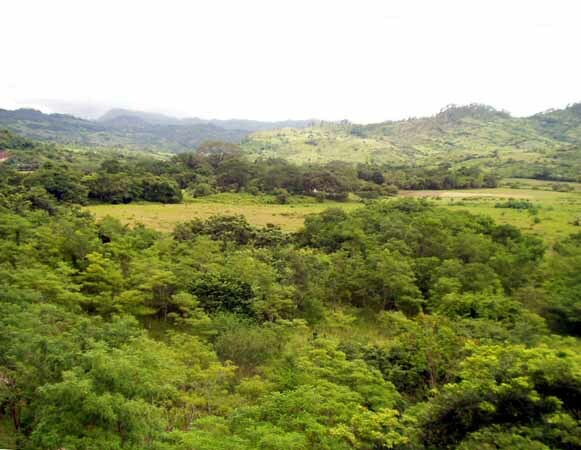 It is affiliated in some way with the Hostel Via Via in Leon Nicaragua, and there are a few other Via Via's around the world. 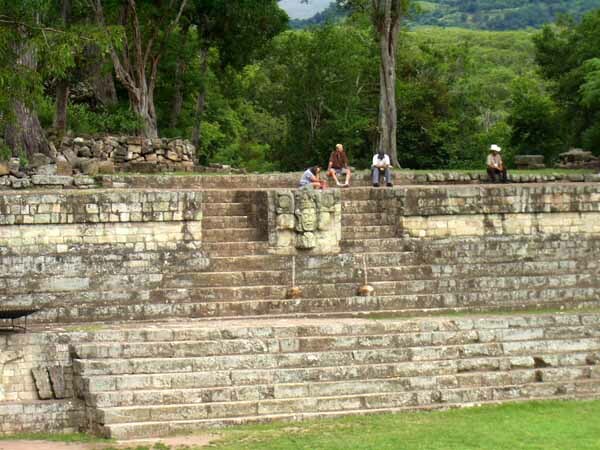 The two I've stayed at were well run, well priced and had good restaurants, I recommend both if you are ever in Leon, Nicaragua or Copan, Honduras. 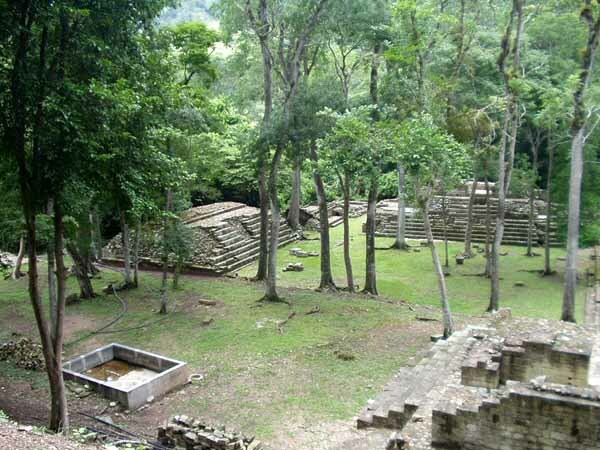 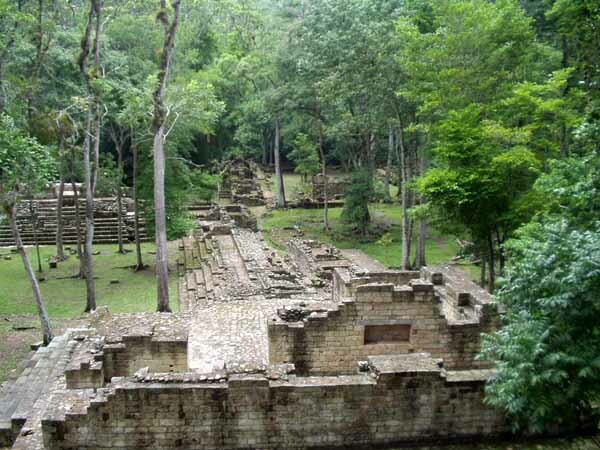 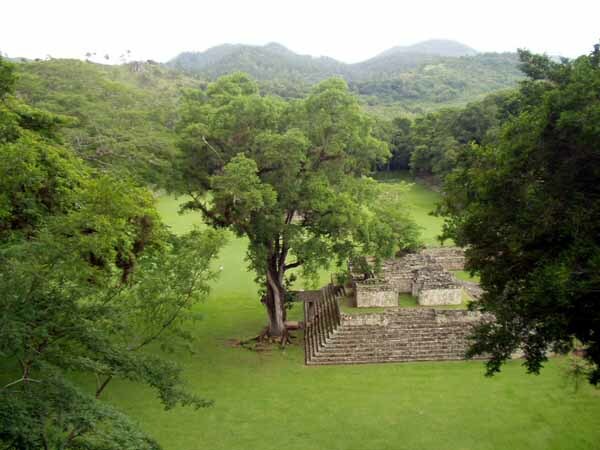 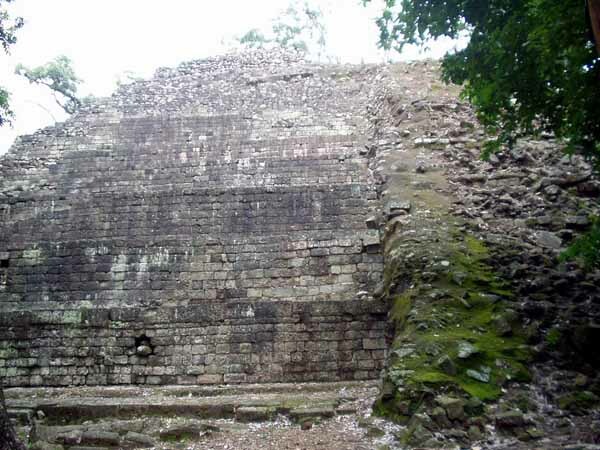 However I didn't go to Copan Ruinas for the hotels, I went to see the ruins of the ancient Mayan city. The next morning I walked from town to the ruins. 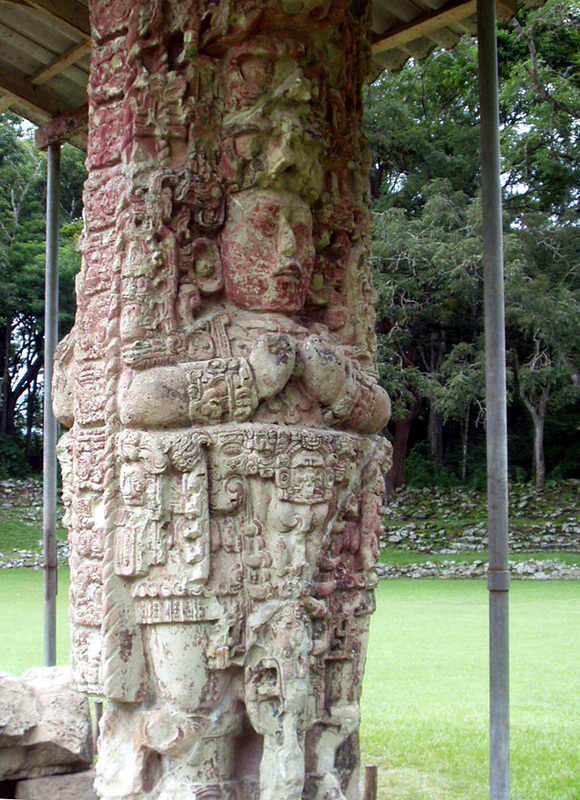 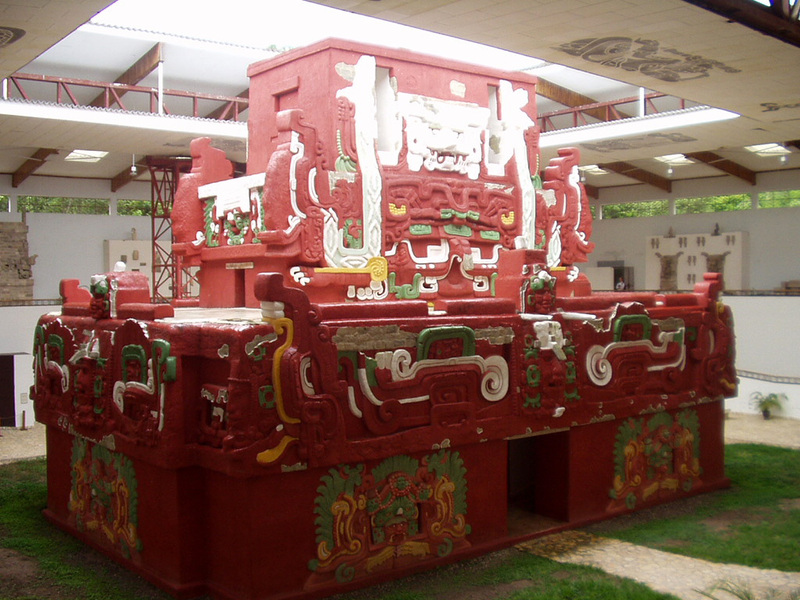 Rosalita is invaluable for anyone interested in the ancient Maya. 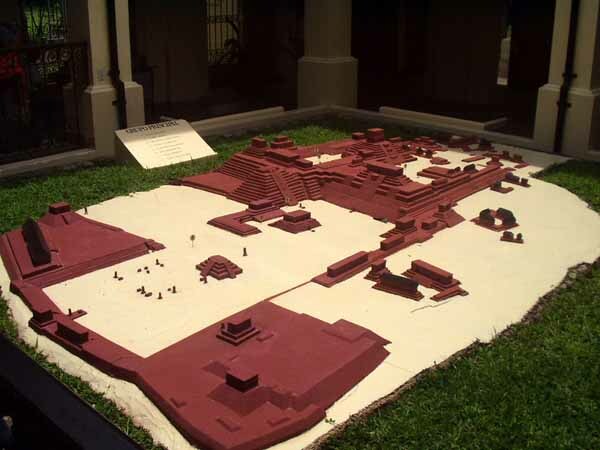 After excavating other temples all that remains on the exterior are the building blocks of the temples; Rosalita gives archaeologists a good idea of how temples looked when new. In the foreground of the next picture is Jaguar Place, in the background is Temple 27, built by the 13th king. 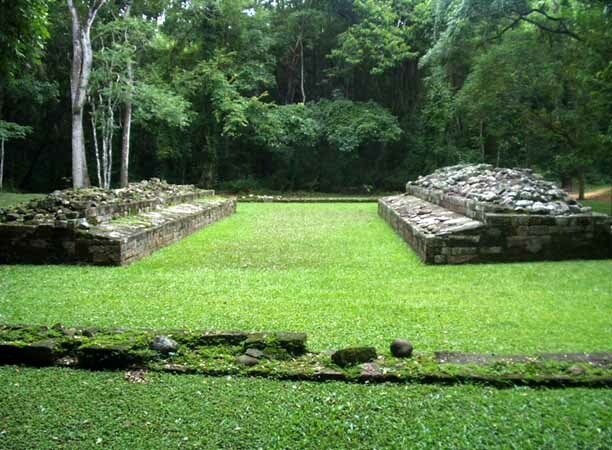 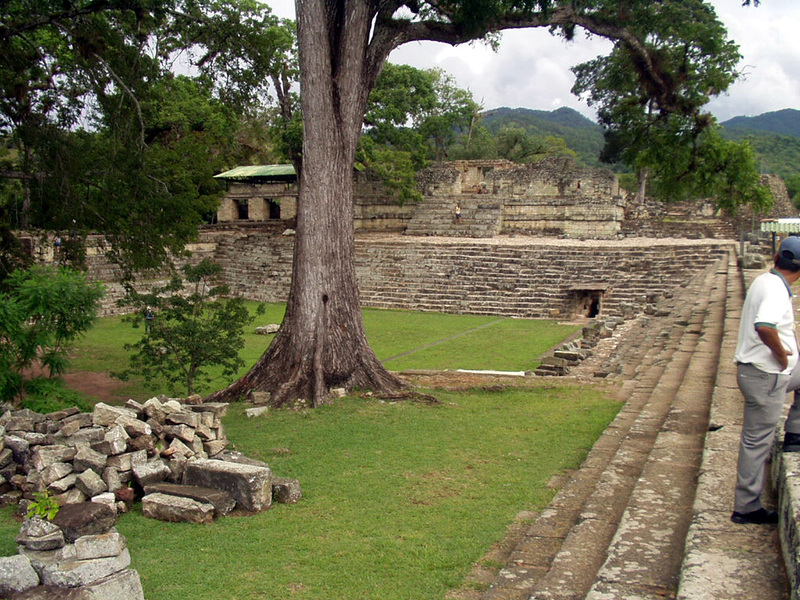 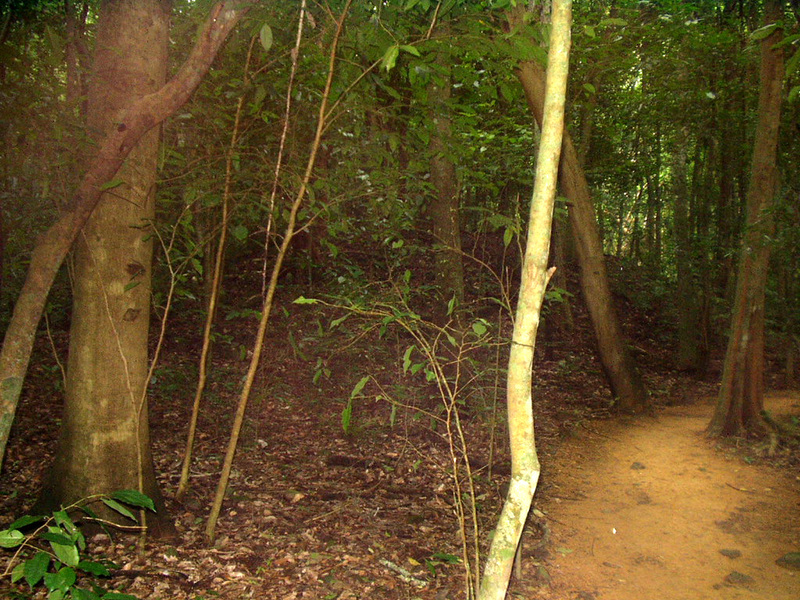 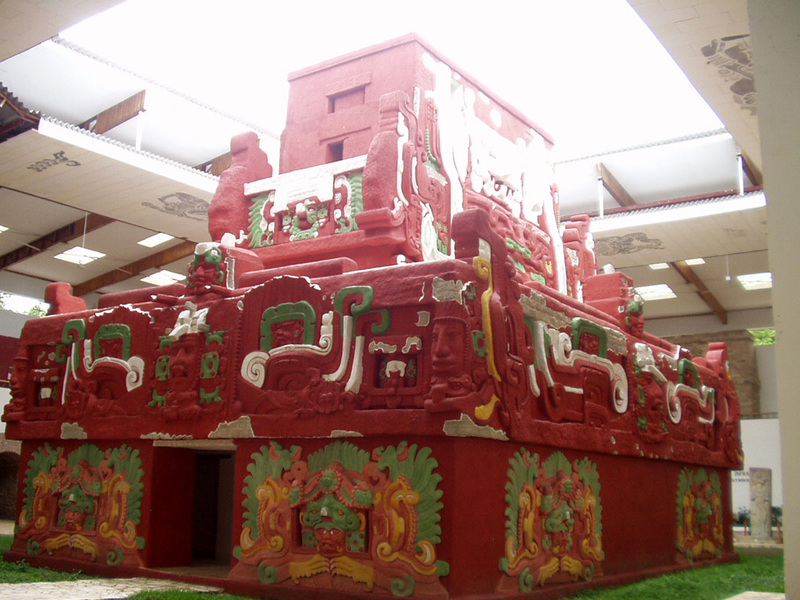 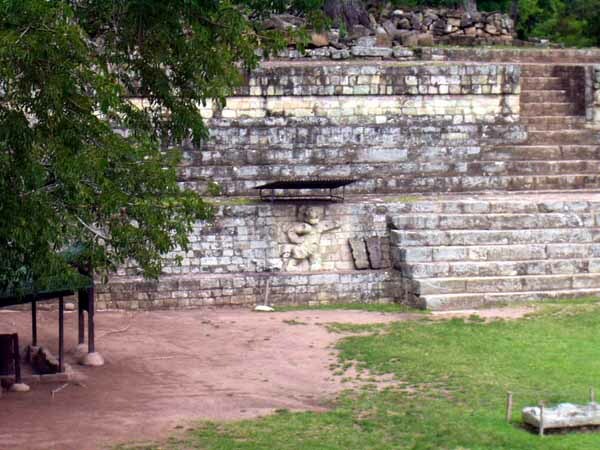 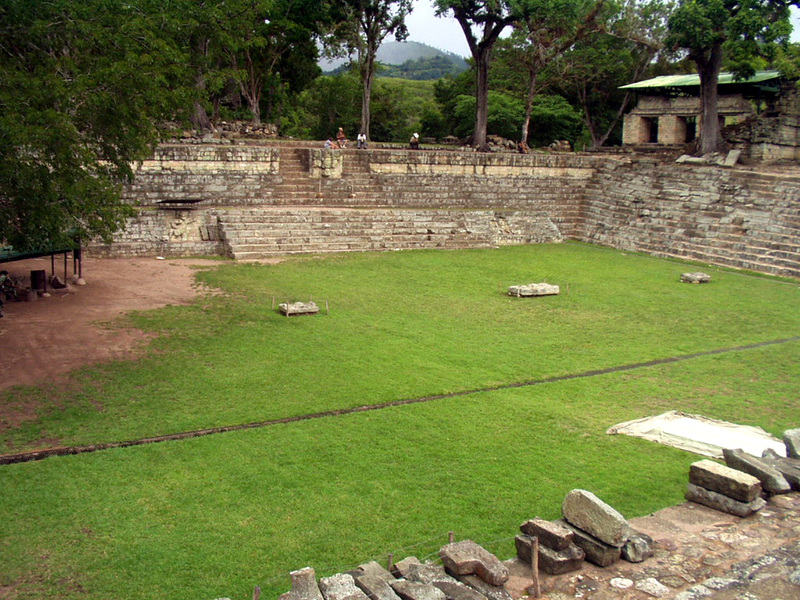 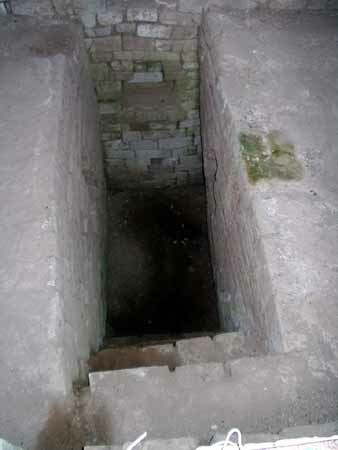 The adjacent picture is another view of Jaguar Place where an important Jaguar dancing ritual took place. Here I am on top of Temple 11 with the main plaza in the background. Next is a picture of the head of one of four gods believed to hold up the world. 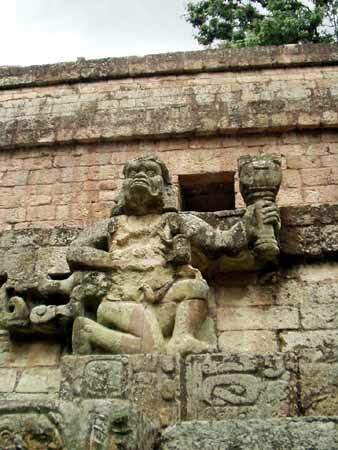 In Greek mythology Atlas did the job by himself. 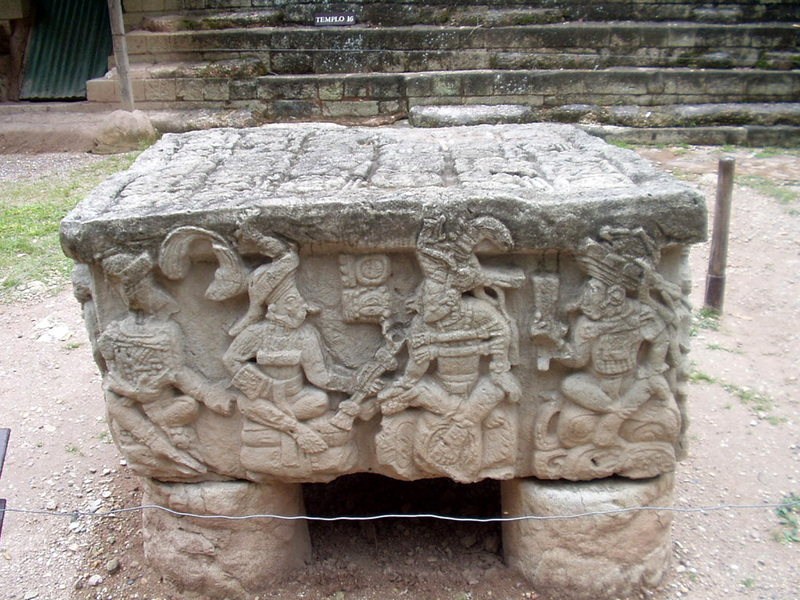 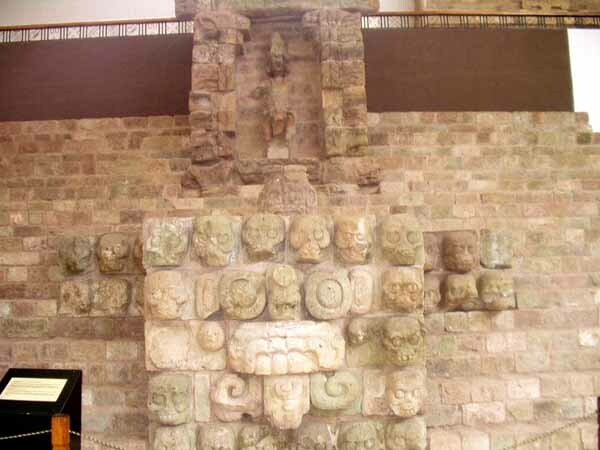 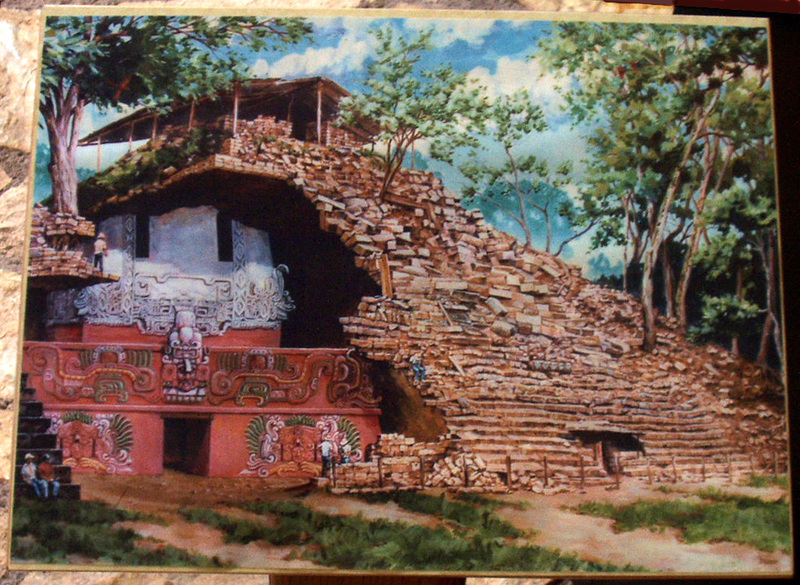 Some pictures from inside the Copan Museum, starting with a depiction of Rosalita inside Temple 11, and another view of the scale model of Rosalita. 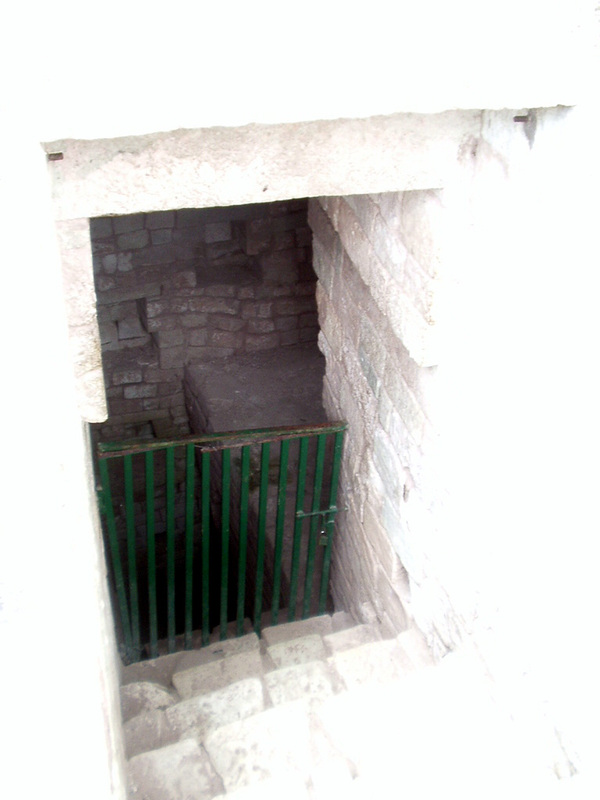 The stairs and skull platform originally on Temple 16. 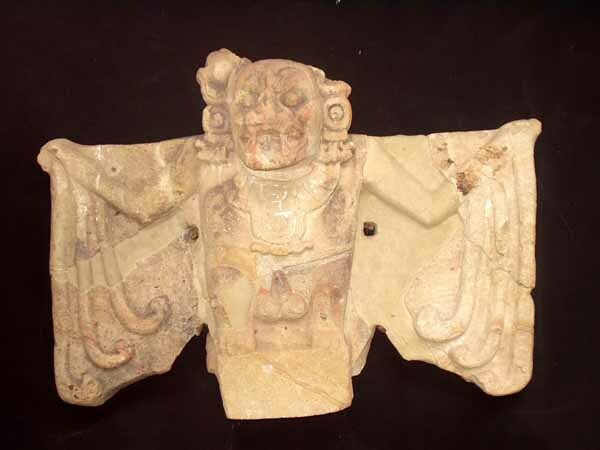 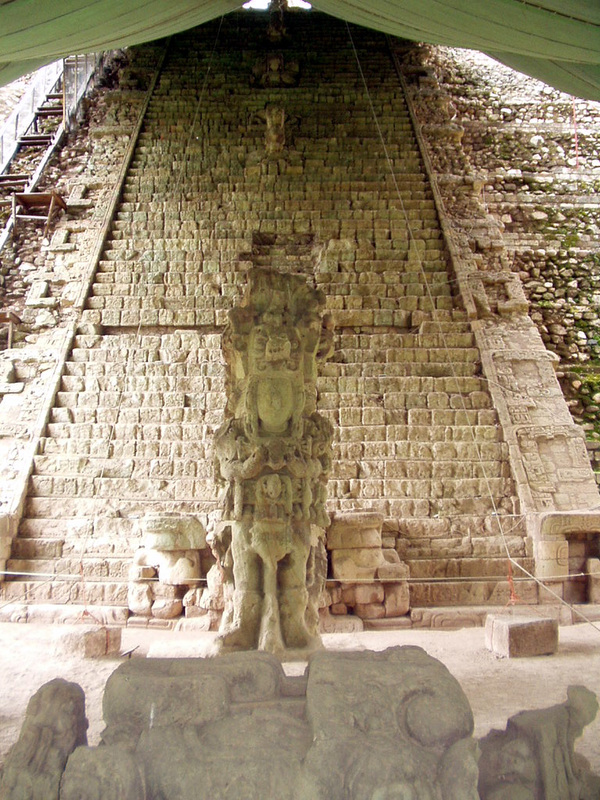 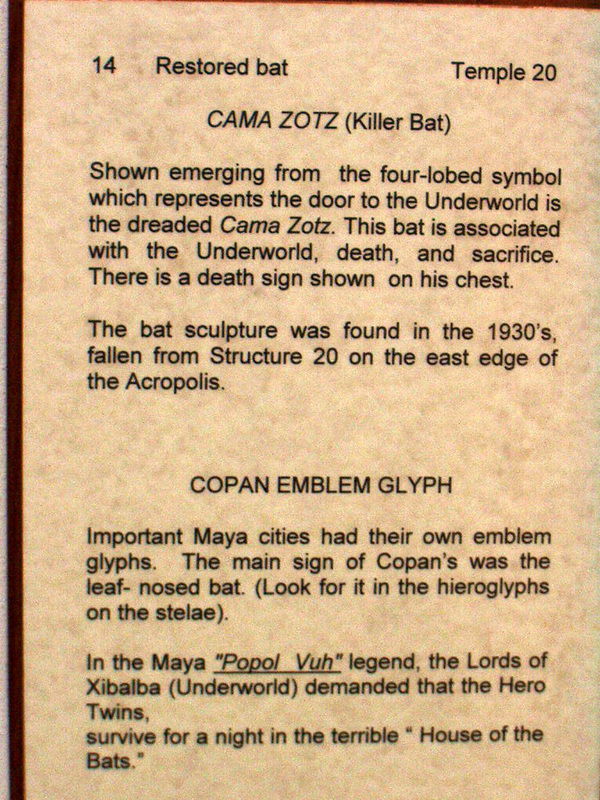 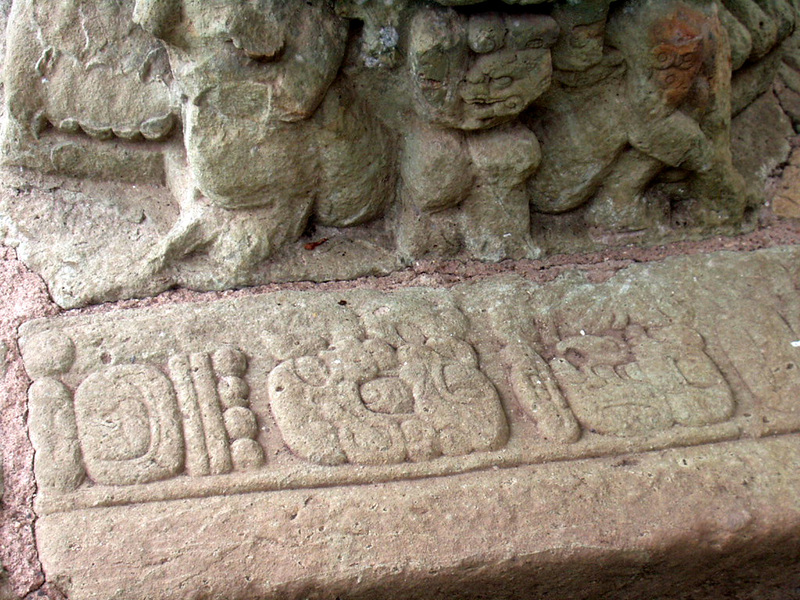 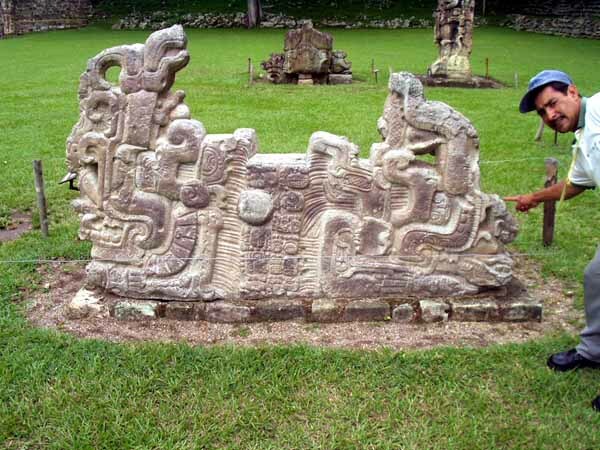 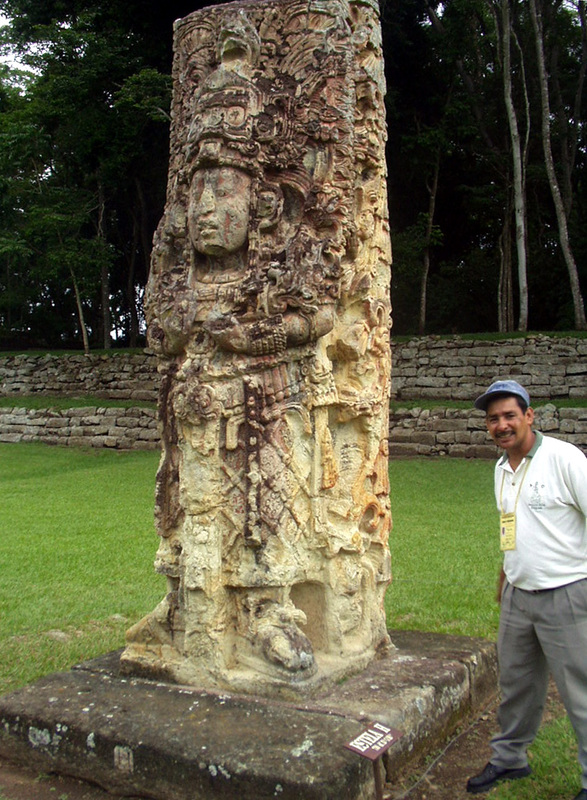 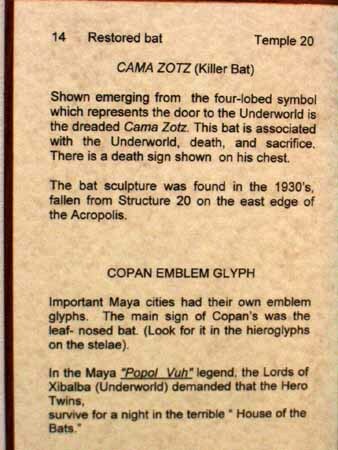 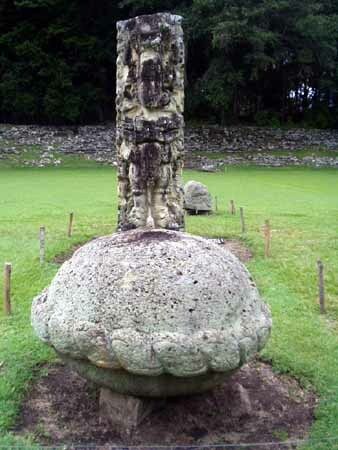 An interesting Mayan sculpture and the plaque describing its significance. 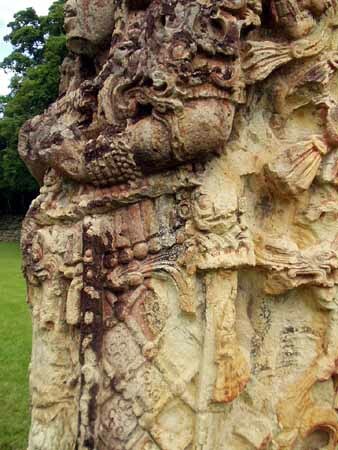 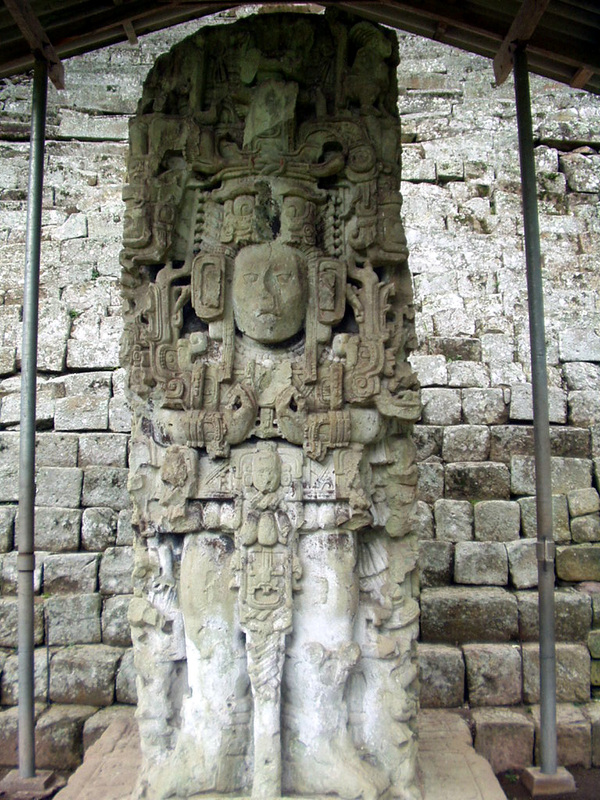 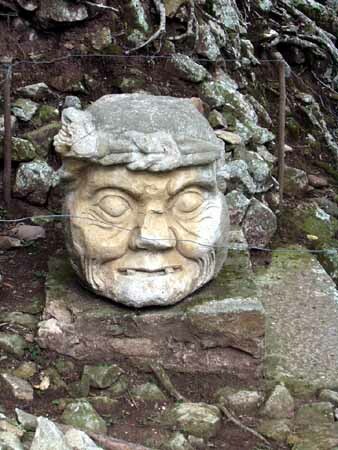 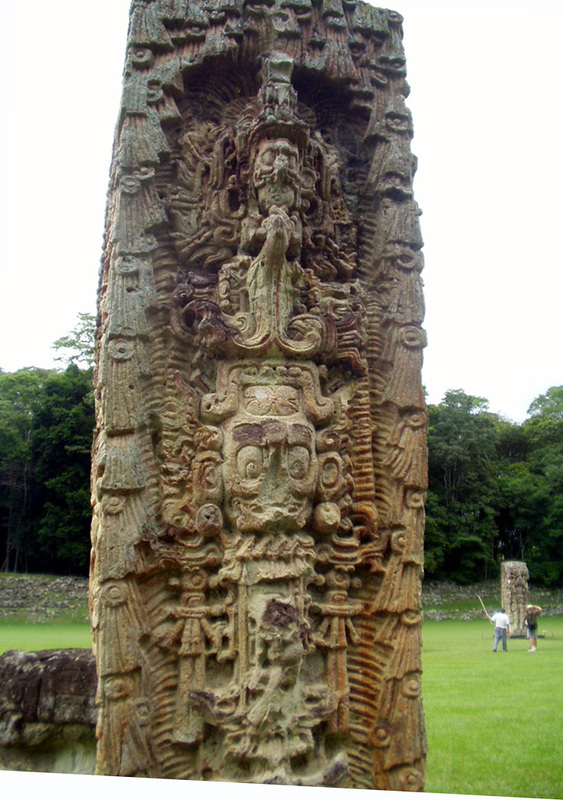 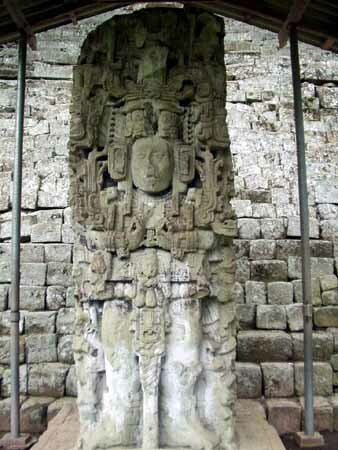 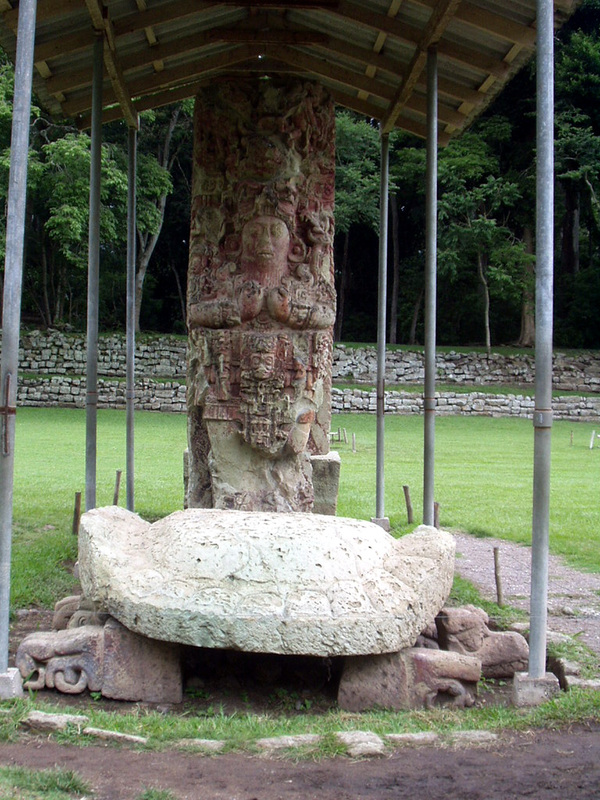 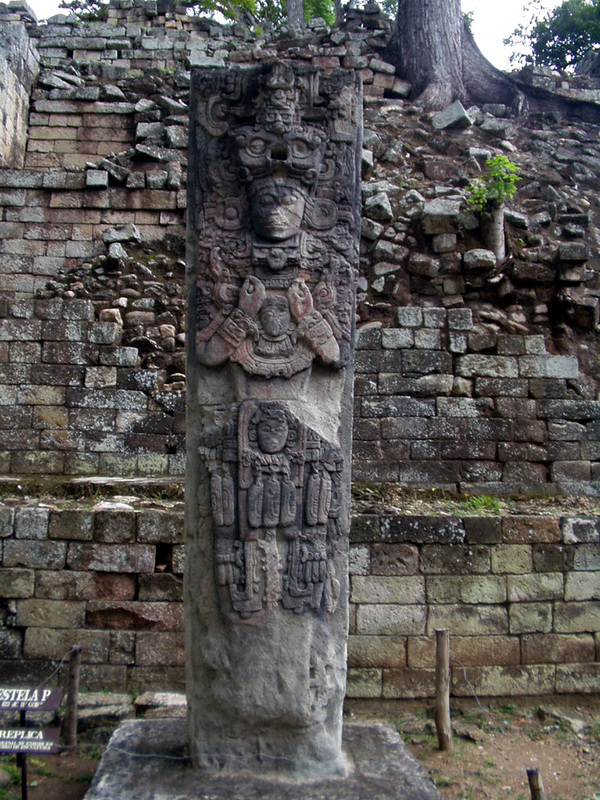 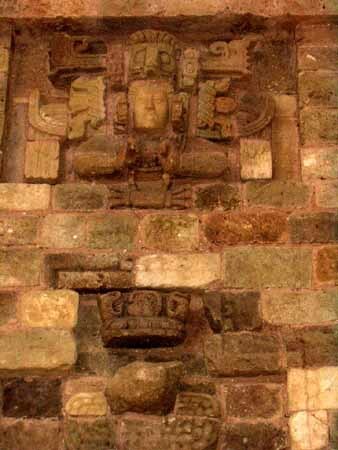 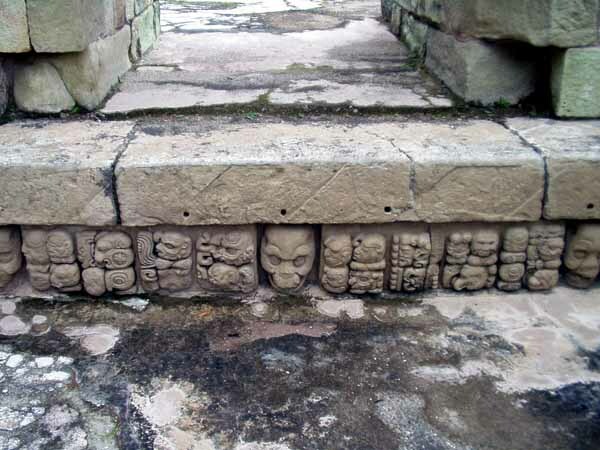 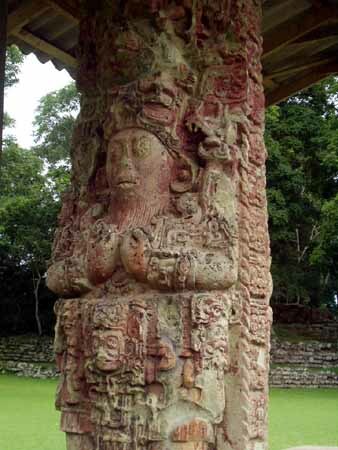 And finally, one of Copan's best preserved faces, this one of the Maize God. 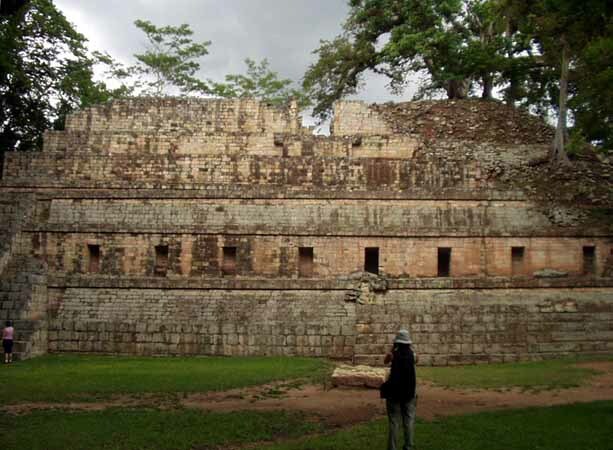 The next day, Tuesday, September 2, I walked around Copan Ruinas, took care of some e-mail, and put a great many postcards in the mail. Before leaving Roatan I had coordinated travel plans with Billy, manager of Mono Loco, who had business in Antigua. 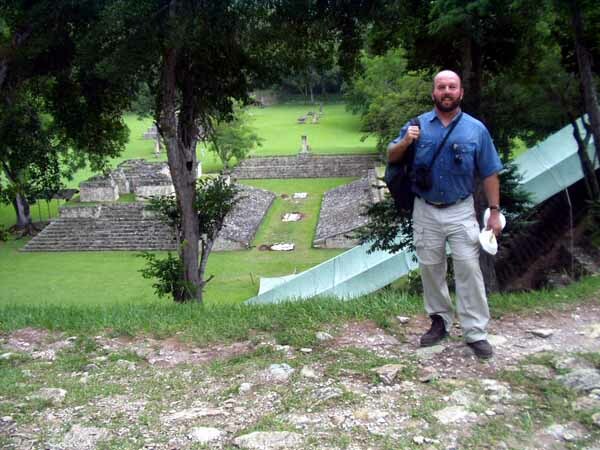 On Wednesday I met him and caught a lift across the border and all the way to Antigua in Guatemala. 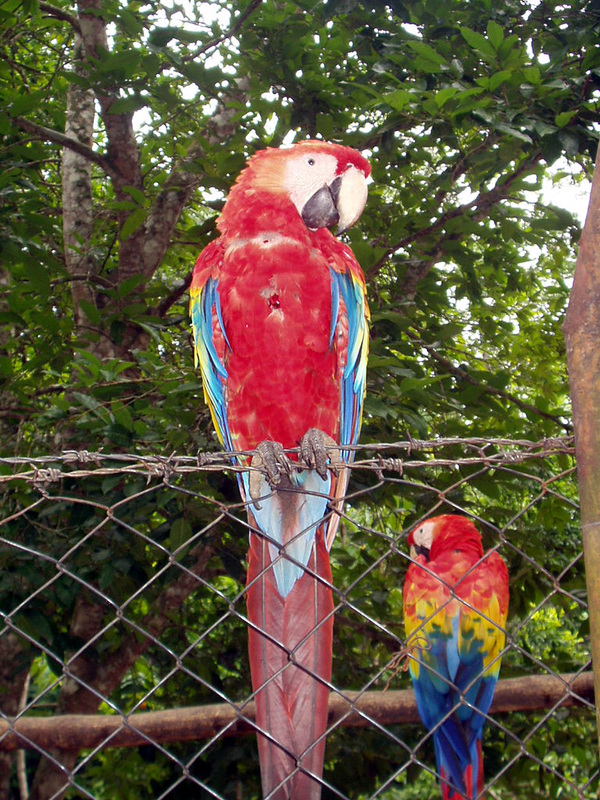 It pays to be on good terms with your bartenders.